Pir Vilayat (1916-2004) was the son and spiritual successor of Hazrat Inayat Khan. 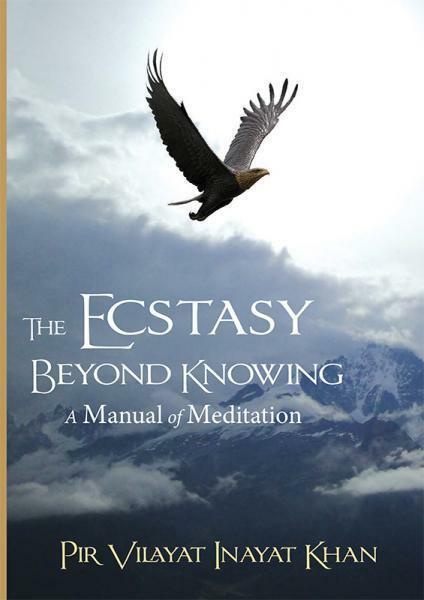 The Ecstasy Beyond Knowing represents the distilled wisdom of Pir Vilayat Inayat Khan’s long lifetime of spiritual seeking and experiences, his dialogues and deep friendships with other mystics and spiritual teachers, and his explorations into the nature of reality with scientists and philosophers. Meditation techniques are explained in detail along with the principles behind them, including practices with breath, light, energy, sound and mantram, inspired visualizations, and the Sufi dhikr. The Sufi process and stages of transformation are interwoven with those of Hinduism, Buddhism, the Jewish Kabbalah, the glorification of the Christian Mass, and the alchemical process of self-transfiguration. The height, depth and breadth of mystical experiences are integrated with the insights of psychology and contemporary scientific discoveries, and the creativity inherent in all human nature is invoked to aid in transforming and beautifying the personality as well as the world. Pir Vilayat reveals the way to develop a deep connection with the soul and spirit, and offers advice on maintaining the awareness and integrity of that connection through the joys and sorrows, challenges and adventures of everyday life. And Whose Reality is beyond our reach. The Ecstasy Beyond Knowing represents the distilled wisdom of Pir Vilayat Inayat Khan’s long lifetime of spiritual seeking and experiences, his dialogues and deep friendships with other mystics and spiritual teachers, and his explorations into the nature of reality with scientists and philosophers. Meditation techniques are explained in detail along with the principles behind them, including practices with breath, light, energy, sound and mantram, inspired visualizations, and the Sufi dhikr.